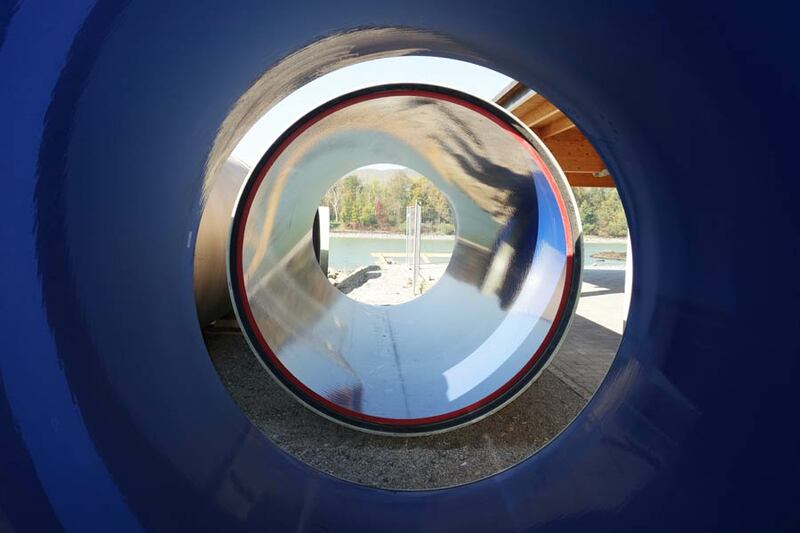 300 m Hobas PU line pipes DN 2400 were installed as part of a comprehensive flood prevention project at the Danube in Lower Austria. Just a few years ago, the municipality of Schönbühel was hit by a major flood which caused damages worth several million euros. To protect inhabitants and their houses from future destruction, a comprehensive flood prevention project was initiated. Among the planned measures was the raising of a dam at the shore of the Danube. This, however, implied taking care of another smaller river: the Rossbach, which flows into the Danube right below the picturesque castle Schloss Schönbühel. It had to be culverted so it could then flow through right underneath the new dam. Given that the Rossbach carries many stones and sharp debris, the material of the culvert had to be well-chosen. Amiblu had the right solution in store: 300 m highly durable Hobas PU line pressure pipes DN 2400 with a stiffness of SN 10 000 were produced for the project and are currently being installed in Schönbühel. The scope of supply also included several bends as well as angular cut pipes for building the optimal pipe route in accordance with the river flow. Hobas PU line pipes and fittings with their special polyurethane inner liner resist abrasion and impacts extremely well and are perfectly suited for such heavy-duty applications. They now contribute to a safer life close to the Danube.